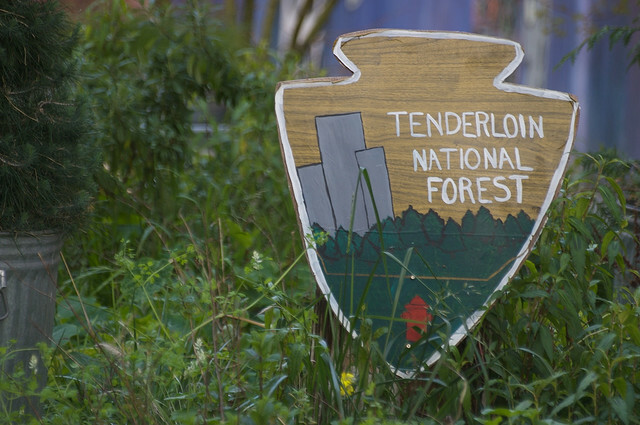 The Tenderloin National Forest, or Forest, is one of the few open spaces in a dense neighborhood of over 40,000 culturally and ethnically diverse residents. The Forest came to life about twenty five years ago when Darryl Smith, an artist and San Francisco native, was living in a Tenderloin Neighborhood Development Corporation (TNDC) managed apartment building adjacent to the derelict alley, then known as Cohen Alley. The alley served as a dumping ground for hypodermic needles and garbage. 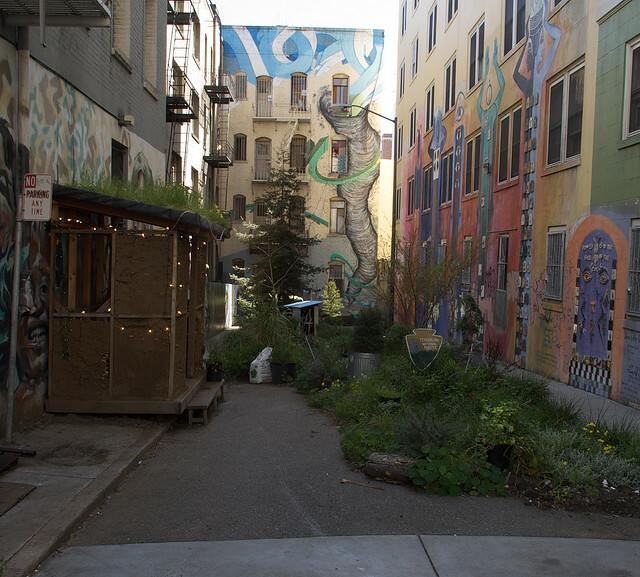 Smith and his partner, Laurie Lazer, along with fellow artists and community activists decided to transform the dingy alley into a safe, relaxing space for people to congregate. It wasn’t easy. Hint: It’s not a real national forest. The actual smallest U.S. National Forest is Tuskegee Naional Forest in Alabama, which at 11,252 acres dwarfs the Tenderloin installation.